Siobhan Cronin, classically trained violinist, performs regularly with internationally recognized artists and touring shows, including the Trans Siberian Orchestra, Michael Bublé, Josh Groban, Andrea Bocelli, Earth Wind & Fire, Ricky Martin, Disturbed, Katharine McPhee, Sarah McLachlan, Rod Stewart, and Il Volo. She recently performed with Tony Award winning singer and actress, Audra McDonald, as well as Grammy award-winning American classical pianist, Emanuel Ax. In 2016, she performed in concert with Placido Domingo, as well as renowned Wagnerian soprano Christine Goerke. In January of 2017, Siobhan was invited to join the Cinematic Rock/Metal band, Starset, as their touring violinist. Since January she has done two extensive North American tours and will be joining them again in the fall for another North American tour alongside American hard rock band, Halestorm. As an orchestral musician, Siobhan has performed as both a violinist and violist with a number of symphonies. She served as Principal Violist of the Detroit Symphony Civic Orchestra, Assistant Concertmaster of the Michigan Philharmonic, Concertmaster of the University of Michigan Campus Symphony Orchestra, Principal Violist of the University of Michigan Symphony Orchestra, Concertmaster of the Miami Chamber Orchestra, and this past season served as Principal Second Violinist with the Miami Symphony Orchestra. As a member of the University of Michigan Symphony orchestra in the 2013-2014 season, Siobhan played on the 2015 Grammy-nominated recording of Milhaud’s Orestian triology. In the 2016-2017 season, Siobhan also performed as a violinist and violist with the Palm Beach Symphony, The Southwest Florida Symphony, as well as the Villages Philharmonic Orchestra. In addition to her symphonic experience, Siobhan is an active chamber musician. 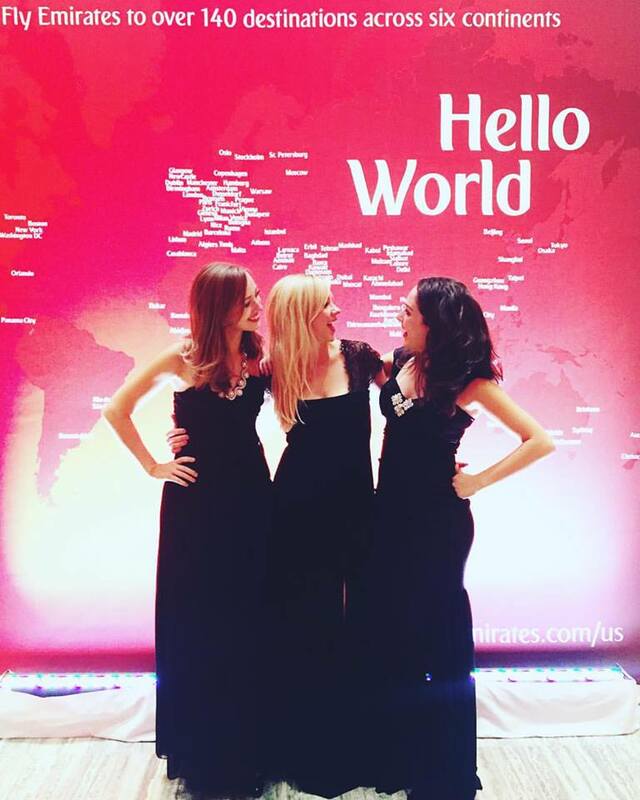 She currently serves as violinist and co-founder of the Miami based Wynwood Trio, a chamber group that performs classical, contemporary, and popular repertoire and has appeared in venues such as the Betsy Hotel in South Beach, the Dr. Phillips Center for the Performing Arts, and the Seminole Hard Rock Hotel and Casino. In addition to her trio, Siobhan performs as a regular member with the NuDeco Ensemble, an energetic and virtuosic chamber orchestra that encompasses the musical spirit of the 21st century. Siobhan has also appeared as a soloist in recitals and with a number of orchestras in the United States and abroad. In the 2016-2017 season, she delivered several performances as a soloist with Filarmonia Xalapa in Veracruz, Mexico as well as with the Camarata Palafoxiana in Puebla. In addition to her performances, she was invited by the Escuela Superior de Musica in Cholula, Mexico to deliver a series of masterclasses. In addition to her solo appearances with orchestra, Siobhan has performed in many recitals both in the United States and abroad in Germany and the Czech Republic. In the upcoming 2017-2018 season, she will return to Puebla where she will appear as a soloist and will again be directing a series of masterclasses for the conservatory students. Siobhan is also actively involved in arts and music marketing and administration. She currently serves as the Executive Director of the Miami Chamber Orchestra where she is involved with fund-raising, marketing, event planning, and recruiting. She also serves as a routine contractor and has assembled small groups and full orchestras for a number of artists, shows, and venues. Siobhan has also appeared on a number of TV and news broadcasts and serves as co-host of a monthly radio show on WJR radio Detroit, where she discusses arts, education, and music. She has studied with and performed in master classes for a number of distinguished artists and chamber groups, including Midori, Andrés Cárdenes, Shmuel Ashkenasi, Sylvie Gazeau, Heidi Castleman, and the St. Lawrence String Quartet. She has been actively involved in orchestral and chamber music festivals, including the Miami Music Festival, The St. Lawrence String Quartet Seminar, The Red Rocks Music Festival, as well as the International Music Academy Plzen. 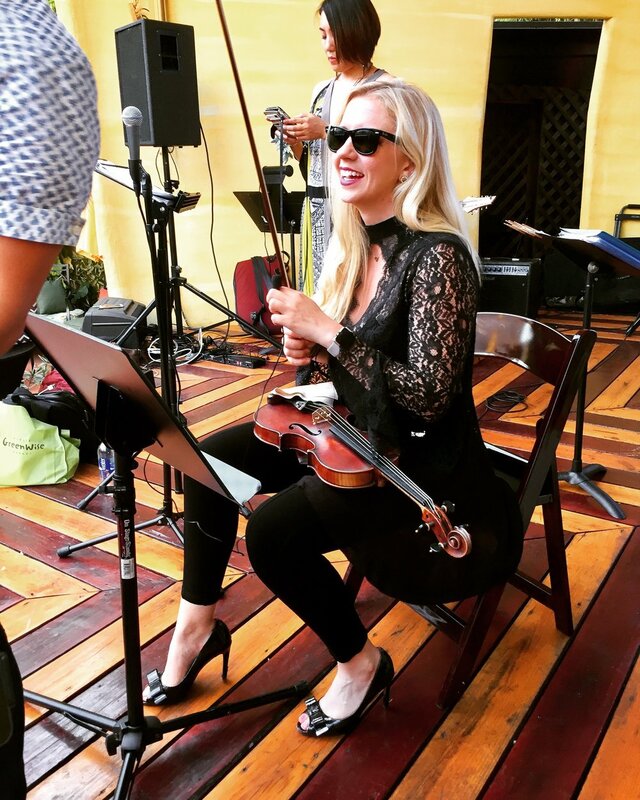 Siobhan received her undergraduate degrees in Violin performance and Economics from the University of Michigan where she also completed her Masters Degree in Violin and Viola performance. She is a native of the Metro Detroit area, and graduated from Cranbrook Kingswood, the place where she first discovered the violin. 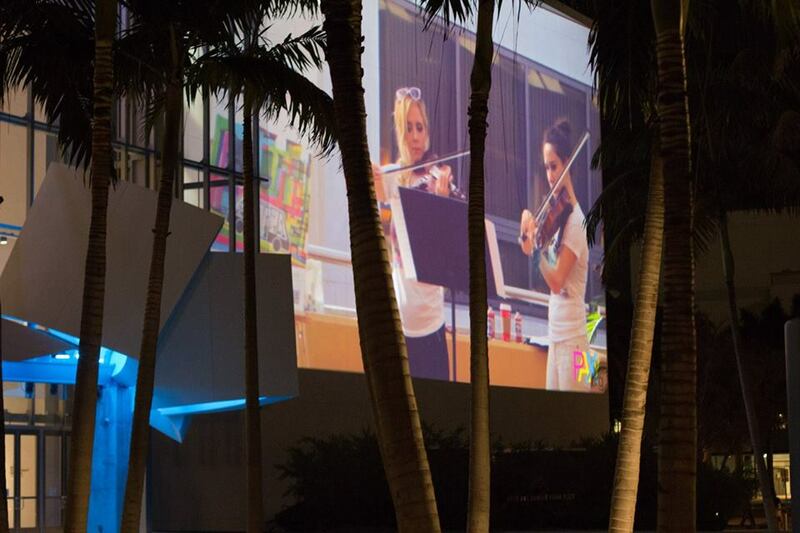 Wednesday's gala featured early performances by the Wynwood String Trio and the Eclipse dance company. After the meal, consisting of filet mignon, Maine lobster salad and seared scallops, Grammy award-winning musician Ricky Martin entertained the crowd for almost an hour. he party scene got started last Friday when Cauley Ferrari celebrated the arrival and delivery of the LaFerrari, the most extreme Ferrari ever built. Local collector Ken Lingenfelter took delivery of one of these bright red beauties, and the event featured wine, a spread of Italian fare and music from celebrated violinist Siobhan Cronin. We talked to Siobhan Cronin, a Masters student at the University of Michigan School of Music, Theatre & Dance. Cronin, who studied economics, French and music as an undergrad, is now working on her next degree in violin and viola performance.